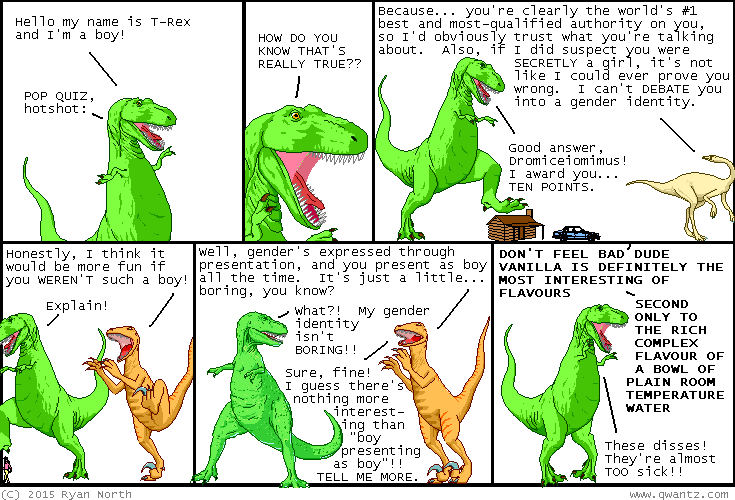 Dinosaur Comics - June 8th, 2015 - awesome fun times! –...WHO ALSO LIKE TO ROLL IN POO SOMETIMES?? June 8th, 2015: Some disses are seriously unwell!! One year ago today: shoop shows up in dinosaur comics every few years. the reason is that if this were not the case, shoop would show up in dinosaur comics every few hours.